Here’s amazing deal for all business travellers who plan to fly with Qatar Airways. If you want to save amazing €50 on your next Economy Class flight with Qatar Airways or even €200 on your Business class flight, just click on the button below to get the special discount coupon code. Then just enter this coupon code in “Promo code” field while you book your tickets. This offer is valid only if you pay your ticket with PayPal. Travel period for this offer is limited until end of November 2014 and you have to book your flight before 16th March. This coupon code is valid for departures from Germany (Frankfurt, Munich and Berlin) to Bangkok, Singapur, Colombo, Kuala Lumpur, Denpasar, Jakarta, Kathmandu, Hongkong or Melbourne. 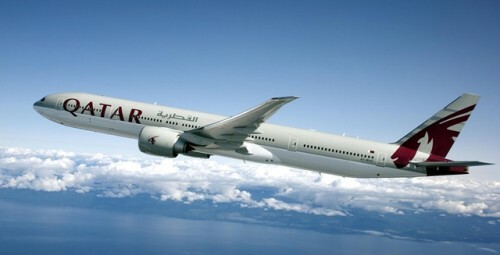 Enjoy your discounted luxurious flight with Qatar Airways, one of the best airlines in the world! « Cheap flights to Spain: Warsaw-Barcelona for €30!